Despite its tremendous importance, indoor air quality is overlooked too often – most of the time, people think opening the windows is good enough. This way of thinking is odd when considering how important air is to humans – breathing in unclean air on a regular basis is a sure way to contract a chronic illness. Indoor air quality is determined by multiple causes and often needs to be restored methodically. As you might imagine, air quality in commercial structures suffers the most because of what goes on in them, yet few business owners are aware of how important a constant stream of fresh air is. When we're tasked with improving indoor air quality in a commercial structure, we split our work in two steps. First, we take a note of everything that might be lowering the air quality around the structure – the list often gets quite lengthy, but eliminating most if not all of the culprits is key to achieving satisfactory indoor air. We will talk to the business owner and see about making compromises in regards to what can stay and what should go, as well as explaining better practices for a safer and more pleasant environment. 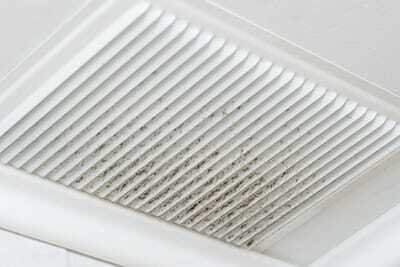 Air filters can be a major detriment to indoor air quality as well. While their purpose is to filter out any pollutants entering the structure, they can become clogged and actually serve as a major pollutant themselves. Therefore, nearly every job of ours involving indoor air quality has us replacing all of the air filters inside a structure – this alone constitutes a massive improvement that will be felt by your employees immediately. The second solution is to install an air purifier. Air purifiers have been getting a lot of good press, and for good reason – they're great little things to have around and will have a massive impact on reducing pollutants in the air. Most air purifiers are expensive, however, and they also aren't always the best choice in commercial structures due to their size. Therefore, if you'd like an air purifier in your commercial structure, you're probably best off installing it in the most critical areas – the ones that get polluted the most and have the lowest amount of ventilation. As we noted already, the difference in air quality after a purifying session by Boerne Air Conditioning Experts is felt immediately. Don't force your employees to breathe in the fumes, be it in the literal or figurative sense – a good boss keeps the health of his employees in mind, and a great boss makes sure they stay healthy year-round. If you'd like to do that little something extra for your employees as well as yourself, give us a call and we'll determine the level of air quality inside your commercial structure. From there, we won't rest until we've outfitted every room with the means to have a constant stream of fresh air for the foreseeable future – every job we do is geared towards the long haul, and we want our customers to feel the effects of our work for a long time.